The Pons HP 40 ended the season in Valencia with a bittersweet taste. 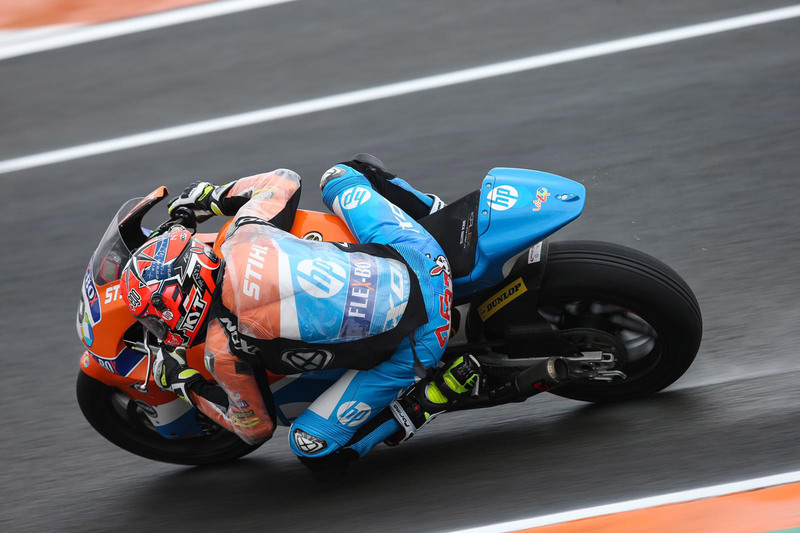 After a good qualifying session, in which Baldassarri and Fernández were classified fifth and eighth, respectively, today they went to the race with the pace to fight for the front positions. 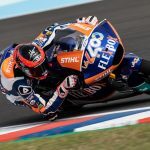 With a wet track but without an intense rain, the race of Baldassarri and Fernández dictated by an accident in the second corner of the first lap. 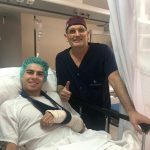 After a good start by both riders, Baldassarri was taken out in a crash and teammate Augusto Fernández was forced to take avoiding action. The Spaniard was forced far off the racing line, an action that led him to lose several positions – finishing the first lap in twenty-fourth position. Little by little Fernández got into his rhythm and continually climbed positions to cross the finish line in eighth. A great comeback to say goodbye to his first season with the Pons HP 40. After this GP, the HP 40 Pons squad sets course for Jerez for the first tests with the new bike, the Kalex equipped with Triumph engine, on 23, 24 and 25 November.